In writing a research paper, take careful note of its parts. The research paper has at least nine essential parts although, of course, there may be additional parts depending on the discretion of your instructor. The basic principle to consider in writing a research paper is that you should first consider and familiarize yourself with the "works" of others and then try to compare them with your ideas. Oftentimes referred to as the cover page, this section is where you indicate the title of your research, your name, institutional information and a few other relevant information prescribed by your instructor. Introduce to your reader the "problem" by providing a brief background of your research. Include the basic reasons how and why you came-up with the problem, and the probable solutions that you can offer. In general, the introduction summarizes the purpose of the research paper. This section is where you will be providing all the relevant readings from previous works. Provide brief summaries or descriptions of the works of other authors. Make sure that your research materials are from credible sources such as academic books and peer-reviewed journals. Also, make sure that your reading materials are directly relevant to the topic of your research paper. The literature review typically includes the names of the authors, the titles of their works and the year of the publication of these works. This section is where you will be providing the methods that you will be using in your research. Typical methodologies include laboratory experiments, statistical or mathematical calculations/computations, and comparison of existing literature. This section is where you will be analyzing the data that you have obtained from the methodological operation that you have chosen. Depending on the type of your research paper, data analysis instruments and operations may vary. Common data analysis methods include but are not limited to SWOT Analysis (Strengths, Weakness, Opportunities and Threats) which is a form of a qualitative data analysis. This section is where you will be presenting the actual results of the analysis that you have made based on your chosen methodology. This is where you will be discussing more of the results of your research, its implications on other fields as well as the possible improvements that can be made in order to further develop the concerns of your research. This is also the section where you need to present the importance of your study and how it will be able to contribute to the field. 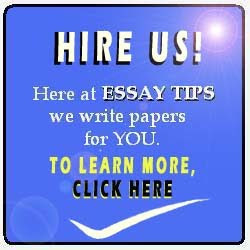 Provide the conclusion to your research paper. While it is important to restate your general thesis in this section, it is also important to include a brief restatement of the other parts of the research paper such as the methodology, data analysis and results. 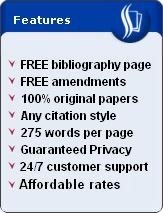 This section is where you list down all the academic materials you have used as sources of information in your research paper. Typical reference formats/styles include but are not limited to APA 5th, Harvard, MLA and Chicago/Turabian.